As a class-platform and open-source music player, Clementine not only allows users to browse and play music from local media library, supports for enjoy uploaded music from Box, Dropbox, Google Drove, etc. but also is able to listen to songs, playlists from internet streaming music services, like Spotify, SoundCloud and more on Windows, macOS, as well as Linux computer. But if you have tried to play songs from Spotify on Clementine music player, you might meet such issues, like Spotify crashed in Clementine, Spotify not working again in Clementine, etc. Please don't worry about them. If you are also the one who'd like to look for a solution to make Spotify working on Clementine, you can read on this article to get the best workable workaround to use Spotify music on Clementine player. From the above introduction to Clementine music player, it's well known that Clementine can play Spotify songs and playlists without problem. But when it comes to listening to music from Spotify, please make sure you have downloaded and installed Spotify plugin manually from the clementine repository and you must have a Spotify Premium account to use it. 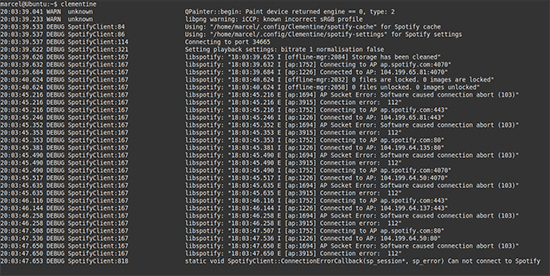 But recently, even if you prepared Spotify Premium subscription and Spotify plugin well, there is an error appearing like 'static void SpotifyClient:: ConnectionErrorCallback(sp_session*, sp_error) Can not connect to Spotify'. In general, when you start Clementine, there is no problem to play Spotify songs on Clementine. But when you do a Search on Spotify, it will stop to run with the error message coming. 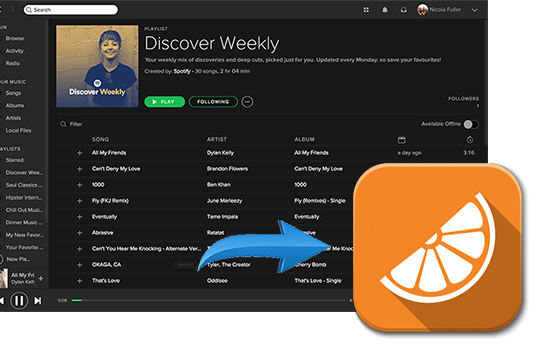 If you encounter the same situation and have no idea about how to fix it out, you can utilize the effective way to use Spotify files on Clementine music player as below. Why you can't use the Spotify Search function on Clementine? It could be caused by that Spotify doesn't support libspotify for any services anymore but Clementine has to do with libspotify. So here, instead of using Spotify plugin to listen to Spotify songs on Clementine, why not to download Spotify tracks offline and transfer them to Clementine music player for playback. No matter you are using Spotify free or premium account, you can use AudFree Spotify Music Converter to download songs, playlists, podcasts and other content from Spotify to plain audio formats, such as MP3, FLAC, WAV, AAC, M4A and M4B so that you will be able to search and play your local Spotify music downloads with Clementine music player without limit. 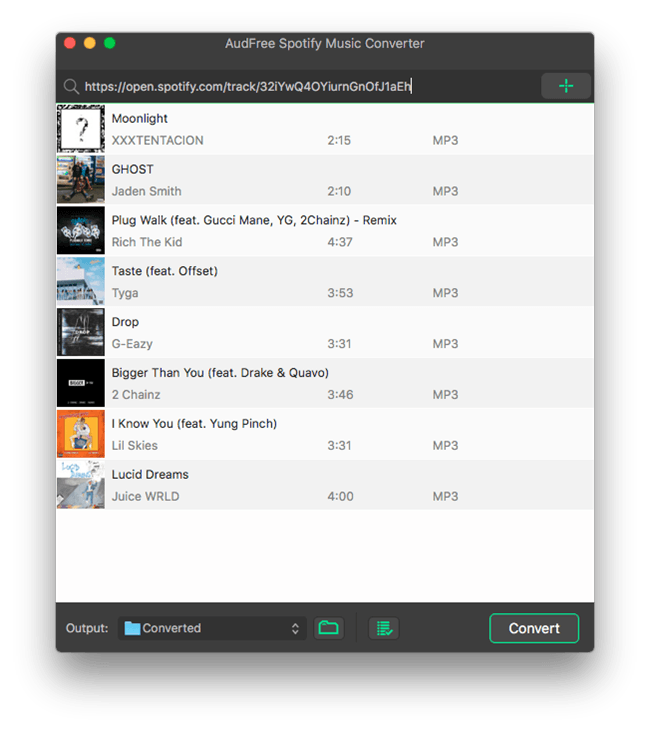 Convert Spotify songs and playlists to MP3, FLAC, WAV, etc. Play Spotify music on Clementine, Foobar2000, etc. 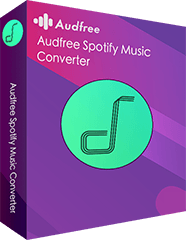 The following is the detailed tutorial to use AudFree Spotify Music Converter to download music without Premium for enjoying on Clementine music player. 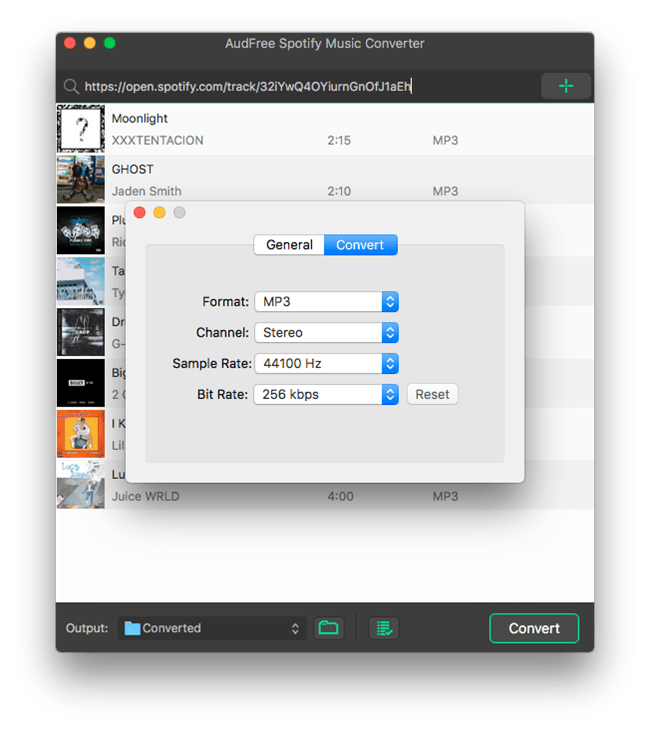 After you open Spotify music converter on your Mac or Windows computer, there are two ways to import tracks from Spotify to AudFree program. You can try to drag and drop Spotify songs you'd like to play on Clementine to the main window or just copy and paste the URL of Spotify playlists to the search box and click '+' button to load them. Just navigate to 'Preferences' > 'Convert' button to launch the setting window. And then you can start to define output format as Clementine compatible audio formats, like MP3 and customize other audio parameters. If you are using free account on Spotify, you'd better to set bit rate as 320 kbps and sample rate to 44,100 Hz to improve listening experience. When all settings are ready, please simply press the 'Convert' button at the bottom-right corner of the main interface and then this smart tool for Spotify will automatically download and convert Spotify music to MP3 or other audio format you set before. After conversion, you can locate downloaded Spotify songs by clicking the 'file' icon to navigate to destination folder on your computer. Now, Spotify music downloads are saved on your computer. The final step is to add them to Clementine music player for listening. It's easy to do this. You can refer to the following detailed guide. Step 1. 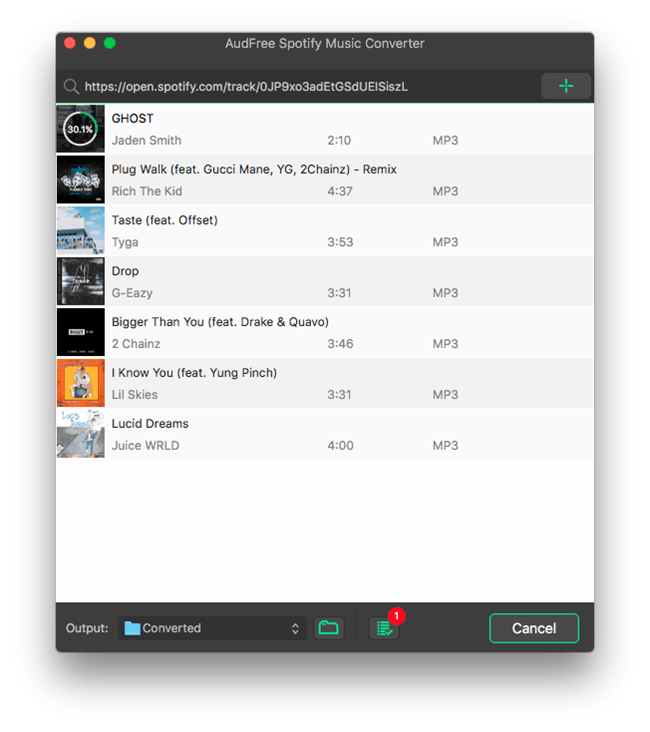 Just launch this smart music player on your Mac or Windows, hit on the Tools > Preferences to open a new window, in which you need to click 'Music library' button. Step 2. Please choose the 'Add New Folder' option to scan all music folder on your computer and you can find out the folder including Spotify MP3 files and add them to Clementine. Step 3. Clementine will begin to scan all songs and load unique Spotify music to the Clementine music library. After that, you can search and play Spotify music and playlists on Clementine music player freely. Sync Spotify to Garmin Forerunner 645 Music Sync Spotify Playlist to MusicBee? Solved!